Well the America’s Cup is finally finished and unfortunately New Zealand did not win but congratulations to Oracle for pulling off an amazing win. As promised in my last post here are some nautical themed cards that I have just completed. My son, James, is very keen on anything maritime and the Tommy Reflections range from Close to My Heart was perfect to make a card for his birthday next month. I have also got the Workshop on the Go (WOTG) kit to scrapbook the photos he took on his trip to Japan when he was 15 years old. He was really happy with this and I will try and post some photos of the layouts at another time. For this set of cards I used only coordinating card stock from the basics colour palette, two colours of ink and two sets of stamps. The limited colour palette created a very harmonious and subdued look that I felt suited the masculine cards really well. 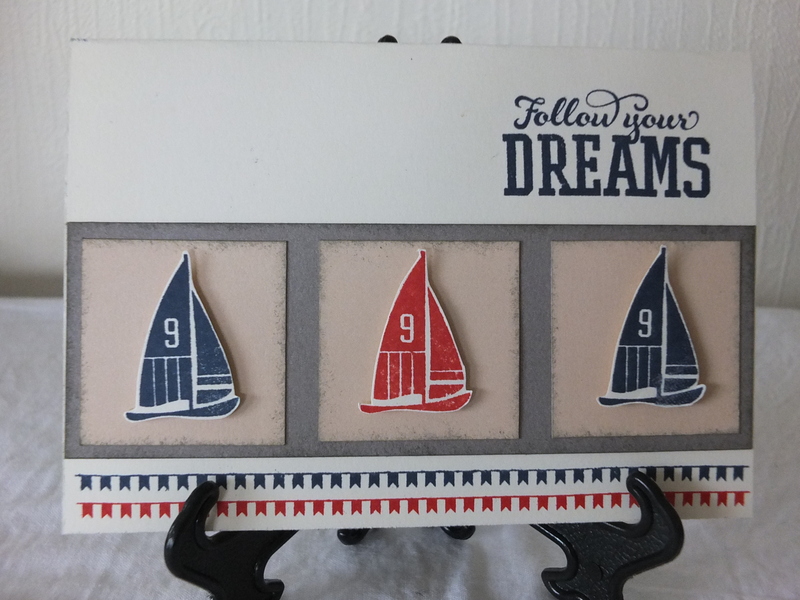 I was really pleased how I was able to create a band with the anchors and tiny flag border on the bottom card- it reminded me of nautical braiding from when I was young. I like to use a lot of edging, strips and borders in my cards, and by using stamps I was able to create the same effect with little effort. 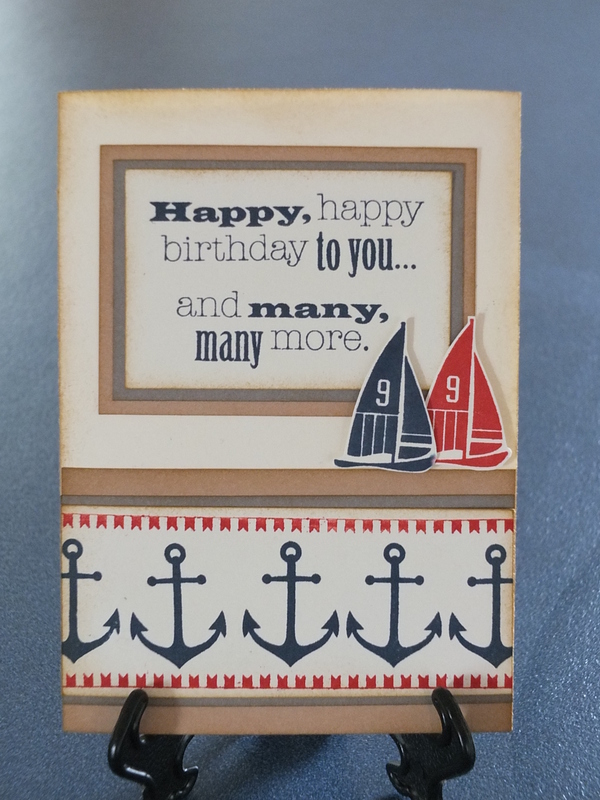 The little boats were easy to fussy cut and apply with some foam tape to give some more dimension to the cards. I am really enjoying using the products and especially the stamps and inks. Because the stamps are clear it makes it so easy to position the image exactly where I want them. The inks are beautiful as well and leave a great impression on beautiful smooth cardstock. My cardmaking is definitely moving up another level with these products. Now I just have to decide what card to give to James and the rest will be for sale at Make Shift. I am sure he will love whatever I give him. I hope you enjoy my latest offerings. 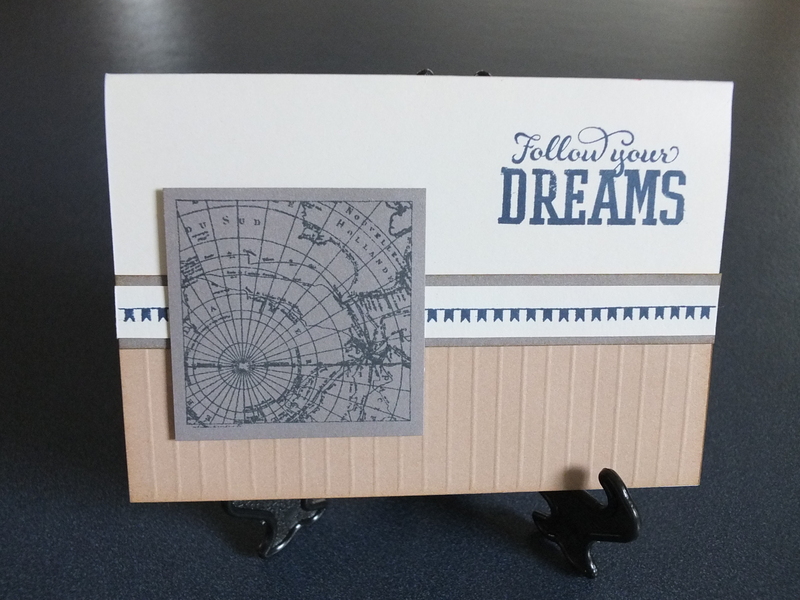 My next post will be a cardmaking 101 for those new to cardmaking.